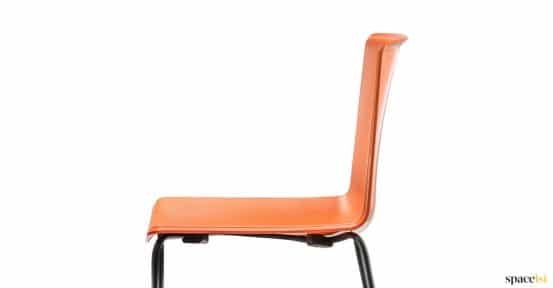 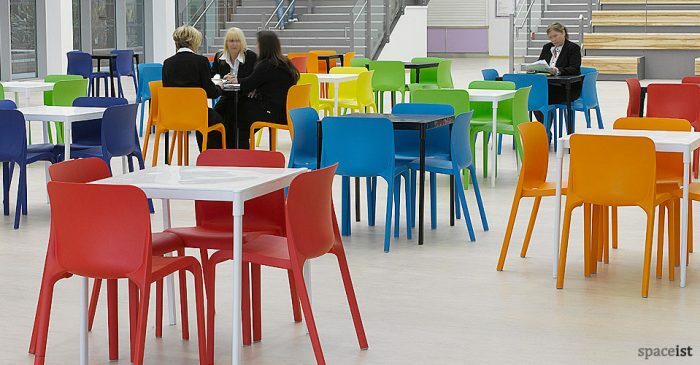 Categories: College cafe chairs, Staff cafe chairs, Weet chair & stool range, Colourful cafe chairs. 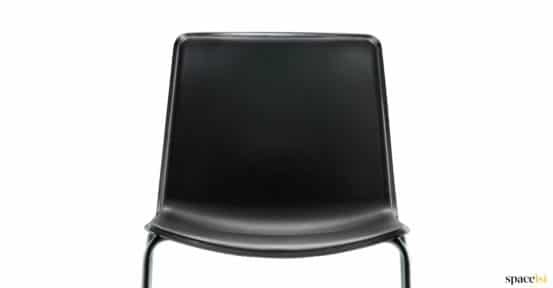 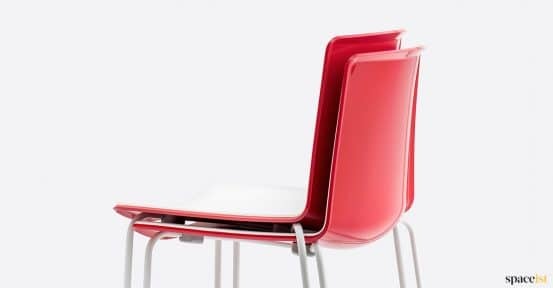 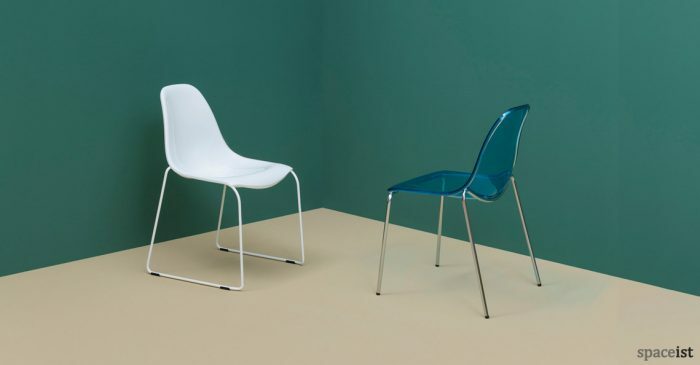 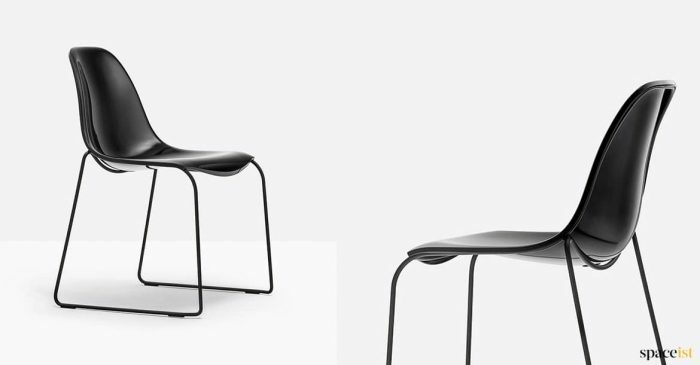 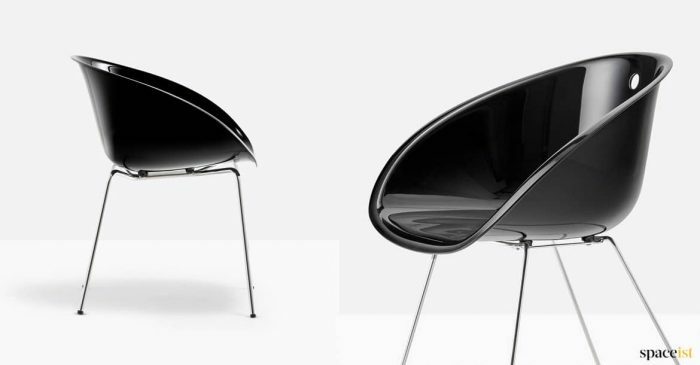 Glossy cafe chair with a scratch resistant seat. 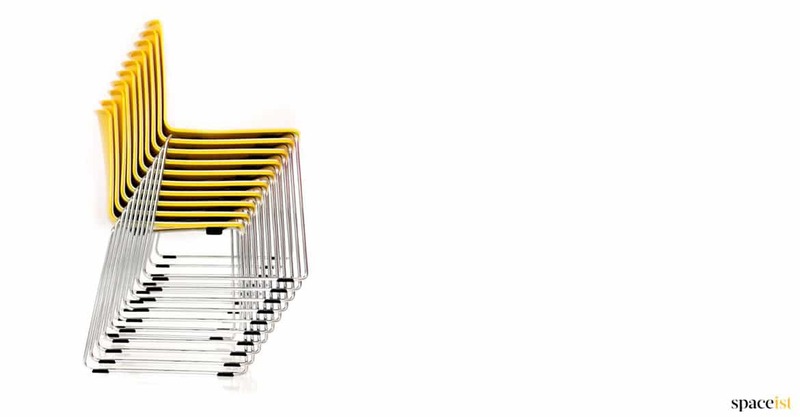 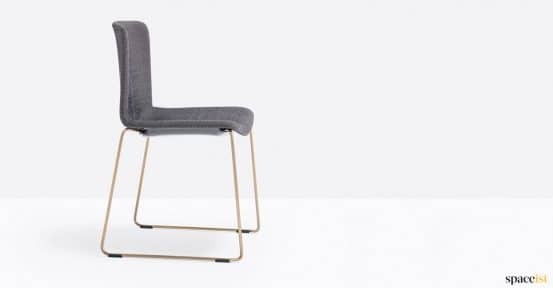 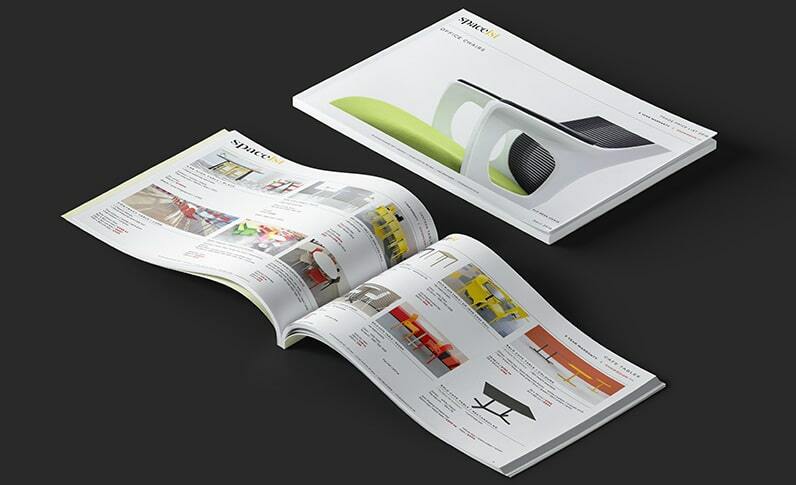 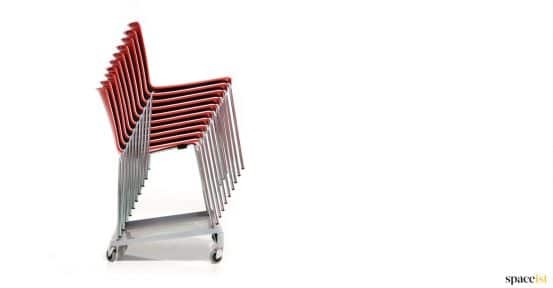 This chair can be stacked 10 high with the option of a moveable trolley. 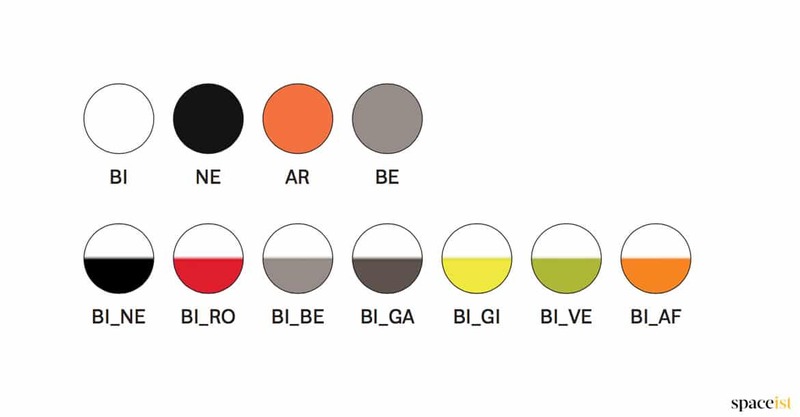 Choose from seven dual colours and four single colours. 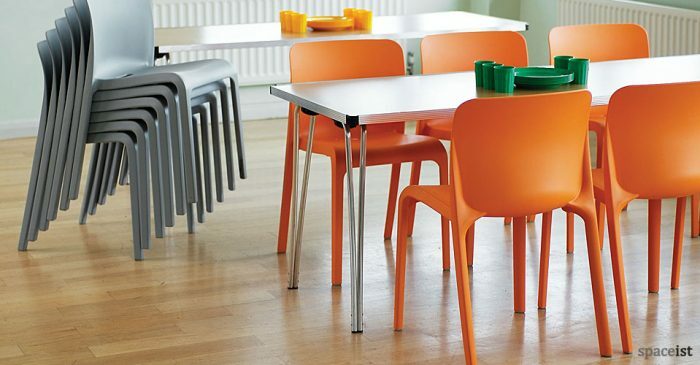 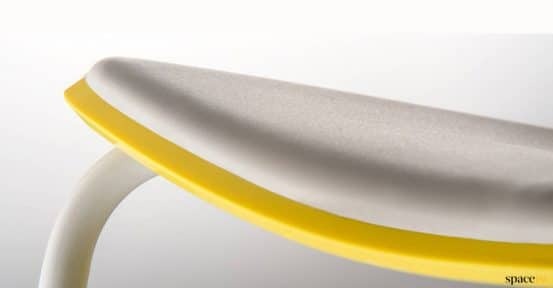 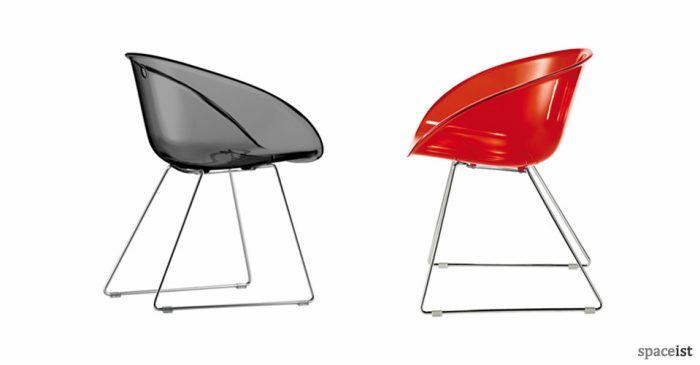 The leg can be finished in a large range of powder coated colours – see link below. 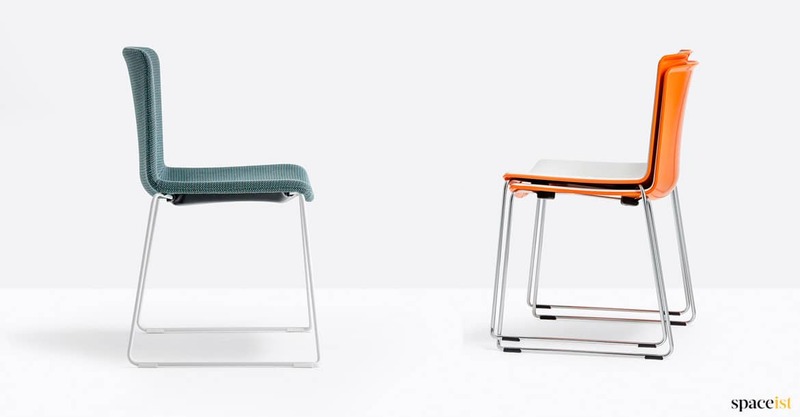 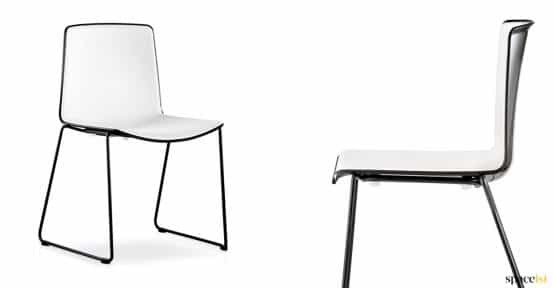 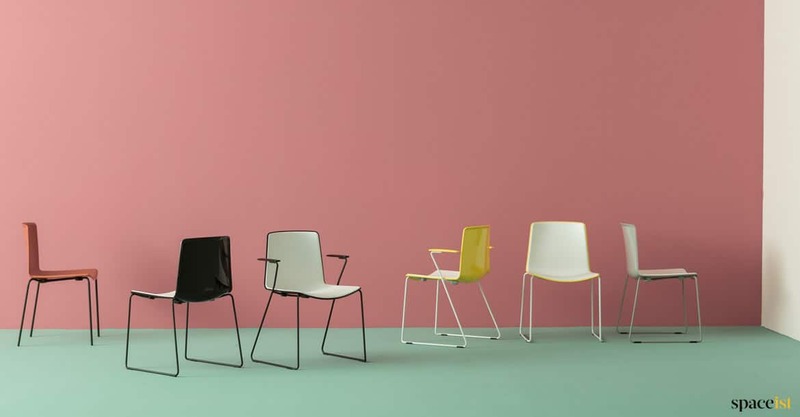 The following tables would suit the Weet chair – Ark, Bold, Elliot or Edge table. 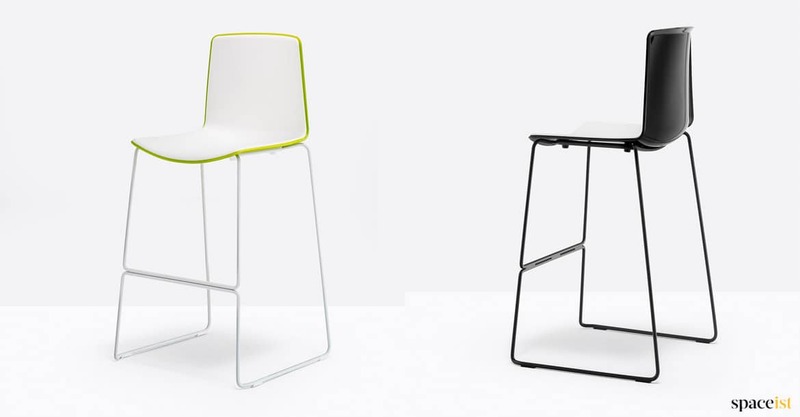 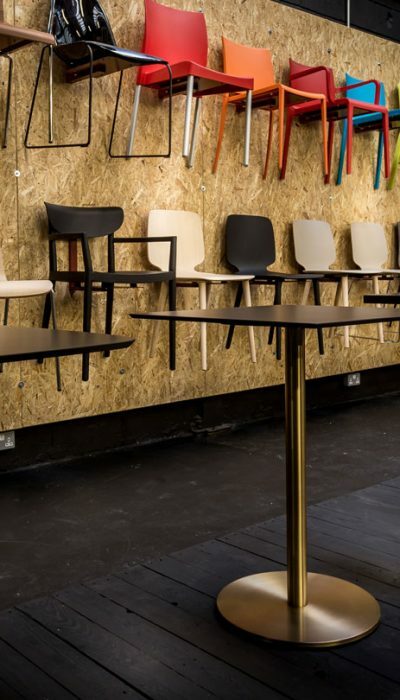 With a matching bar stool this range is a economical way to furnish your cafe, breakout or public space. 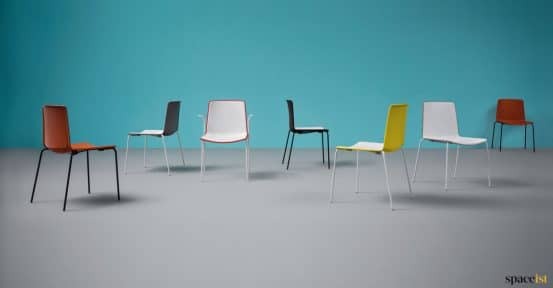 For help designing your area please call 020 8840 6298.